In order to find out the GI of a given food, the food has to be consumed, and the blood glucose levels tested after eating the food. For GI testing purposes, the test food must contain exactly 50 g of carbohydrate. The amount of food that contains 50 g of carbohydrate varies greatly. For example, two dinner plates full of spinach would contain 50 g of carbohydrate, but only 2 tablespoons of jam contain 50 g of carbohydrate. The test food is eaten by a specially trained team, within 15 minutes. Blood glucose levels are measured before eating the food and then every 15 minutes after eating the food for two to three hours, and recorded. The blood glucose (glycemic) response of the test food is then compared to the glycemic response of each tester to 50 g pure glucose and it is the ratio of the test food compared to glucose that gives us the glycemic index of each food. Sometimes bread is used as the reference food instead of glucose. The problem is that breads can vary and so it was decided that glucose (which is standard throughout the world) would be used as the reference food in South Africa. When looking at different GI lists and tables on websites and in books, be very careful to check which reference food was used in the determinations of the GI values, as different reference foods used in the testing could create the impression that some GI values from different sources seem to differ. In addition, many authors mix up the two without realizing it! To convert a GI with bread as the reference food, simply multiply the value by 0,7. To convert from glucose as the reference food, to bread, multiply by 1,43. Often the GI of a given food is not what one would expect. For example, the GI of South African standard brown bread is 75 – 80, whereas that of sweetened low fat fruit yoghurt is only 33 – 45, depending on the brand. Previously one would have assumed that the yoghurt with the sugar in it, would result in a sharper rise in blood glucose after ingestion. But when tested in real people in real life situations, the opposite was found to be true. For this reason all carbohydrate containing foods need to be tested in real people in order to determine their GI. By guessing the GI of a food, one could be very far out. 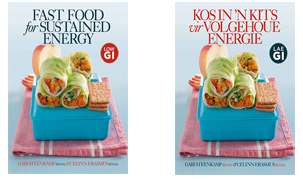 The GI of over 1000 foods has been determined worldwide and more foods are being tested on a weekly basis, overseas as well as in South Africa. 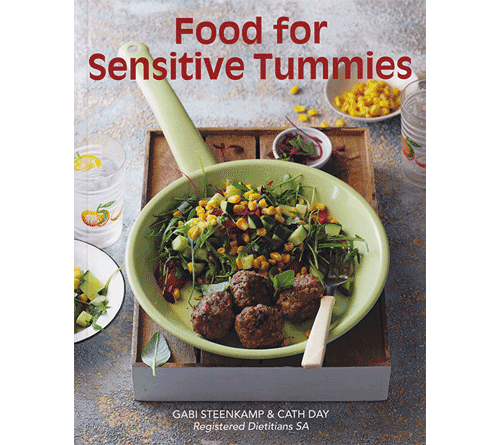 For a complete reference guide on the glycemic index of foods commonly used in South Africa, see The South African Glycemic Index Guide by Gabi Steenkamp and Liesbet Delport, available in most bookstores in South Africa or it can be ordered from this website. Ongoing studies are revealing that the body’s responses to food are much more complex than originally appreciated. The following factors have an influence on the digestion and absorption of carbohydrates, and thus on how carbohydrate foods affect blood glucose levels. In other words, these factors affect the glyemic index of the food, which is the measure, on a numerical scale from 0 – 100, of how carbohydrate foods affect blood sugar levels.